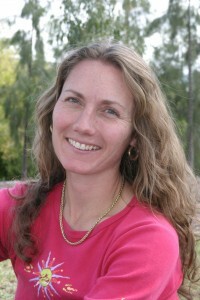 Kristin Weidenbach writes popular non-fiction focused on Australian history. She is the author of the picture book Meet Banjo Paterson and Tom the Outback Mailman, which is a picture book for junior primary readers based on her Australian bestseller, Mailman of the Birdsville Track: the Story of Tom Kruse. She is the author of Rock Star: the Story of Reg Sprigg and King of the Outback and has also written for Outback magazine and Australian Geographic. Kristin is a PhD immunologist who specialised in forensic science and worked at Stanford University, USA, before she switched to a writing career. Previous PostRock Star: The story of Reg Sprigg — an outback legendNext PostOne Step at a Time — it’s Pozible!